The most common fish eaten by people in medieval Europe, particularly in England, were salted fish and pickled herrings. The English herring fleet fished in the summer and what they caught was preserved so as to provide sustenance to the population through the winter. Sometimes dried cod was available – called stockfish – but generally speaking there was little else by way of seafood. 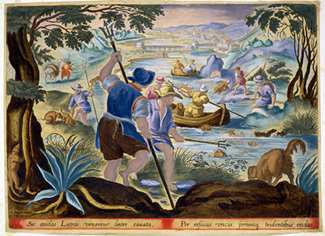 Wealthy landowners had the most plentiful supplies of freshwater fish on their estates; some even had their own fish farms, breeding carp and pike. Fish was generally cooked by boiling in a mixture of water, salt and ale and the resulting impurities skimmed off before serving. Sometimes fish was also fried. 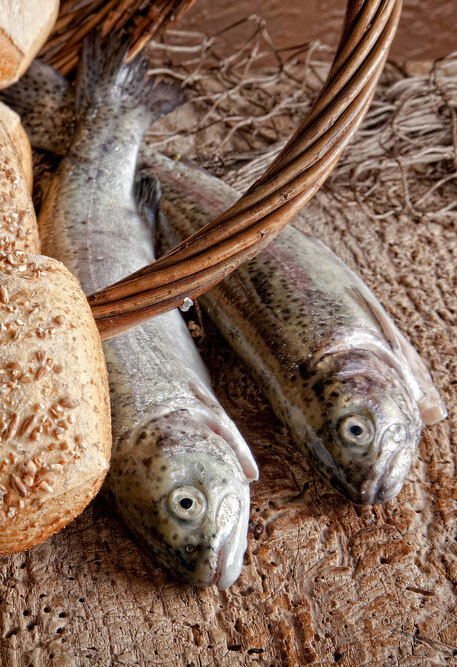 Today’s modern cooking methods encourage us to simmer or poach most fish, though frying is still an option. 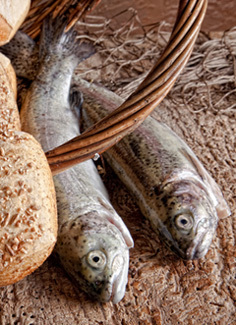 Vist our fish recipes page for a deeper insight into the methods and ingredients used. Finally, here is an interesting point …. sea birds were regarded and actually classed as fish in medieval England. The reason? People took the view that they had been created at sea. It is an unusual idea but there is some logic to it!